Both individuals activists like Quiche writer, human rights leader and Anthropologist Irma Velazquez Nimatuj and groups such as the national Mayan organization known as Waqib Kej’ published detailed critiques of how Perez Molina and his administration had repressed and been involved with murders of indigenous people. A few months later during the August protests, Velazquez Nimatuj published a column in a national Guatemalan publication entitled “Otto Perez Molina: You lie! “Deep Guatemala” was never the center of your government.” In her op-ed column the writer provided a long list of charges of racism, murder, repression and theft against Perez Molina including a mention of how the president had denied that there had ever been genocide in Guatemala during the reign of Efrain Rios Montt. Some other protestors had also made connections between Perez Molina and Rios Montt but the main focus was the current administration. Starting on Tuesday, August 25, Mayan, Quiche and other Indigenous Peoples started marching, shutting down highways and presenting speeches throughout the country. They were part of the Popular and Social Assembly (PSA) that included 72 rural and indigenous organizations from every region of Guatemala, along with thousands of university students and others. In their flyer announcing the protests the PSA called Perez Molina a “shameless thief and murderer” and called for his immediate resignation. 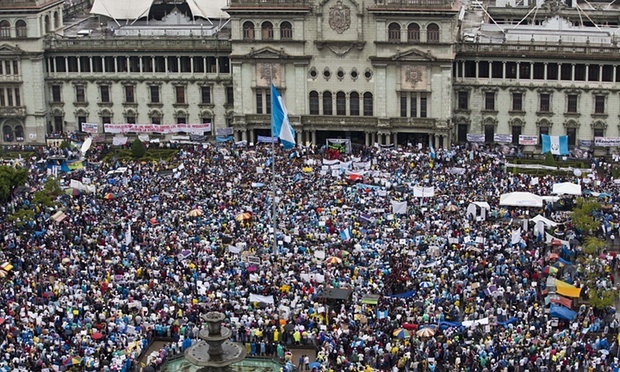 The flyer also asserted that the long walks and mobilizations would occur on the 25th and 26th, ending with a massive protest in the capital, Guatemala City, where protestors would set up demonstrations “in the four cardinal corners” of the city. According to press sources, starting on the 25th groups of between 50 to 100 people were blocking main thoroughfares near the towns of Zunil, El Zarco and Nahaluate. Other examples include blockades of highways such as in Alta Verapaz in the north, Cuyotenango in the south and Coatepeque in the west. At the same time in the center of the city of Quetzalentango, over 800 university students called for the immediate resignation of the president and suspension of the upcoming elections, while protestors shut down roads from the four cardinal directions leading into Guatemala City. While protestors did celebrate the resignation of Perez Molina on September 3, their other call for the National Constituent Assembly has not happened as of press time. 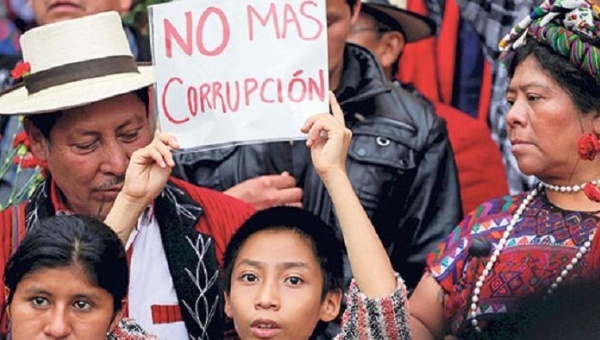 Posted on September 25, 2015, in Uncategorized and tagged Guatemala, Guatemala Indigenous, native blockades, native protests. Bookmark the permalink. Leave a comment.